Last week I wrote about my H-S Model 106 magazine failure at a local match. I replaced the faulty mag and kept my "perfect" mag. However, this week there were three FTFs between both mags using my trusted Olin ammo. There still may be a mag problem, but I am starting to suspect a gun problem. Are there any gunsmiths still in business that tune High Standards? I read through many posts here, but it appears all of the gentlemen listed are no longer in business. My .22 skills are rapidly returning and I would feel more confident if an experienced H-S gunsmith could evaluate and tune my 106. As a Plan B I'm considering a Model 41 or maybe even a Pardini SPBE22, either as a primary or replacement for the H-S. Thoughts? PS - I am grateful for your indulging me with my many threads and questions. I will do my best to contribute in the future as I get my game back. Thanks, i just sent David a message! Who's the HS guy at Perry? Alan Aronstein of interarms in Houston tx. he used to be a part of Hi Standard. Roddy Toyota is still in business. He tuned my 106 and mags. Plan B sounds pretty darn good. Len, do you have any contact info for Roddy? I consulted the oracle and only came up with many references to his gunsmithing, but no contact info. Since sending off the H-S for work make take some time, do you have any recommendations favoring the Model 41 or Pardini SP? Roddy's email is toyotaroddy@juno.com I think I am the wrong person to ask about Pardini. I don't own a single pistol that name ends in a vowel. 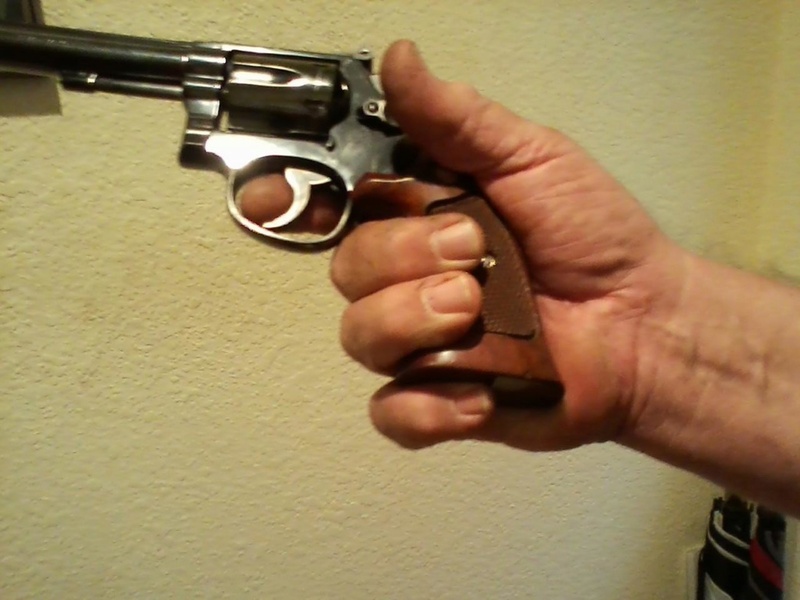 Something about hand size and grips that never fit. I got a couple HSs (Victor and Clark) as well as a couple 41s, and a Pardini SP. I rarely shoot the HSs or 41s. Although the HS and 41 have outstanding triggers, I definitely like the fully adjustable 2 stage trigger on the Pardini. I also prefer the grip angle better, as well as the ability to get 32 conversions. For me, an advantage of the 41 over the HS is parts availability, and, personally I’ve had occasional feeding/magazine issues with my HSs, but never my 41s. Pardinis have a little tiny slot between the underside of the sights and the top of the palm swell that is supposed to fit when you put your hand into it. I worry that the top of the grips, the sights or the palm swell is going to break off. I mean who designs those little tiny things? LenV wrote: Pardinis have a little tiny slot between the underside of the sights and the top of the palm swell that is supposed to fit when you put your hand into it. I worry that the top of the grips, the sights or the palm swell is going to break off. I mean who designs those little tiny things?